The Presidential candidate of the Allied Congress Party of Nigeria (ACPN), Mrs. Oby Ezekwesili, says her party is fighting for the soul of Nigerian. She stated this on Monday during an appearance on Sunrise Daily, a breakfast show on Channels Television. “Nigeria is being led by people who cannot think big”, she said. She decried the high rate of poverty in Africa’s most populous country, blaming politicians whom she also claimed do not care about the plights of Nigerians. The former minister called on the citizens to join her movement, vowing that the aim was to create a new nation. She stated further: “There is a strong apartheid out there for a new nation. We are going to get a new nation, we are going to walk the street, we are going to walk everywhere. Her comment follows her emergence as the presidential flagbearer of ACPN after the party’s national convention which was held in Abuja, the nation’s capital. 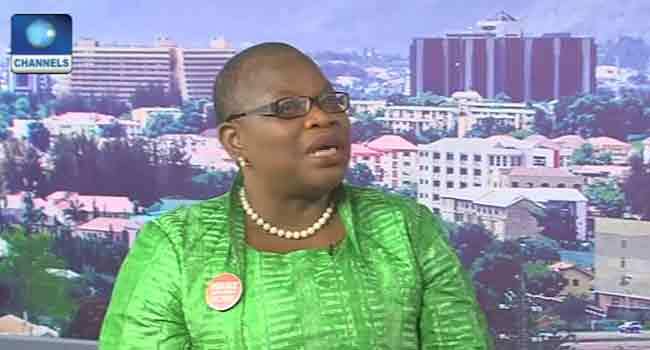 Ezekwesili explained that she joined the presidential race because the All Progressives Congres (APC) and Peoples Democratic Party (PDP) had failed in governance.